How to write Risk Management Plan? First, identify and categorise the risks (probability of occurrence and Severity). Then, define the actions to be performed to reduce your risks. Eventually, make sure you really do what the register addresses, rather than doing it just to make your manager happy! A Risk is a measure of the probability and severity of adverse effects. A Risk Management Plan is a document that a project manager prepares to foresee risks, estimate impacts, and define responses to issues. It also contains a risk assessment matrix. 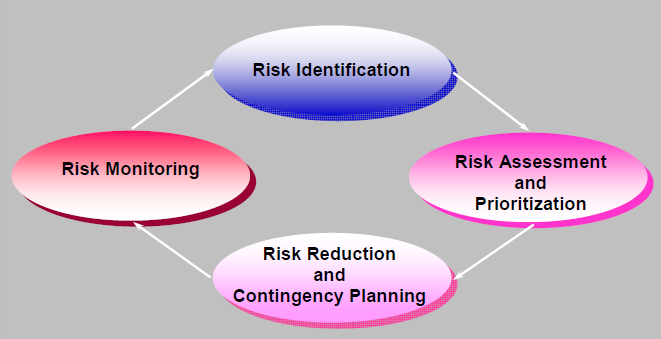 How to write Risk Management Plan? • What can be done and what options are available? • What are the associated trade-offs in terms of all costs, benefits, and risks, and its efficacy? • What are the impacts of current management decisions on future options? The Risk register (or risk assessment matrix) is supposed to be the summary of the Risk Management Plan and it needs to give the Project Manager the full view of the potential risks that he could (or will) face during the development. Managers should view the risk register as a management tool through a review and updating process that identifies, assesses, and manages risks down to acceptable levels. The register provides a framework in which problems that threaten the delivery of the anticipated benefits are captured. Actions are then instigated to reduce the probability and the potential impact of specific risks. A good and simple example of how this can be realised by means of an excel table, can be found on this link. Do you have now a better understanding on how to write a Risk Management Plan? Eventually, once you designed your Risk Management Plan, make sure you really do what the register addresses, rather than doing it just to make your manager happy!